Product prices and availability are accurate as of 2019-04-08 07:49:47 EDT and are subject to change. Any price and availability information displayed on http://www.amazon.com/ at the time of purchase will apply to the purchase of this product. The Instant-Flow SR model is a great basic instant water heater for a wide variety of uses. It features a small size, low installation cost, and delivers unlimited hot water. It also meets the ADA requirements and is 99% Energy Efficient. 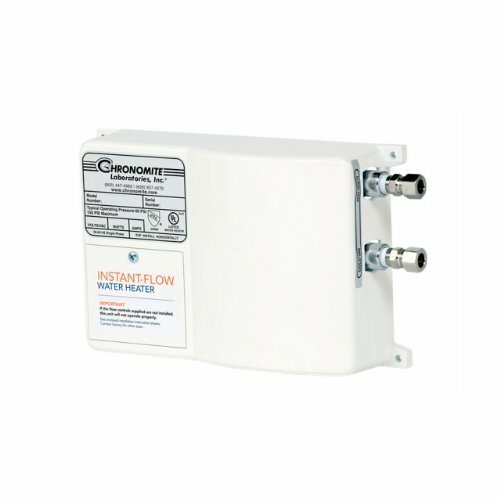 This instant water heater is perfect for lavatories, sinks, showers, and other special applications. 99% Energy Efficient. Compact Size. Easy to Install. Low Installation Cost. Unlimited Hot Water. Meets ADA Requirements. Made in the USA. Optional Stainless Steel Housing.